A healthy twist on a classic Greek dish. Makes 6 servings. 1 gyro per serving. 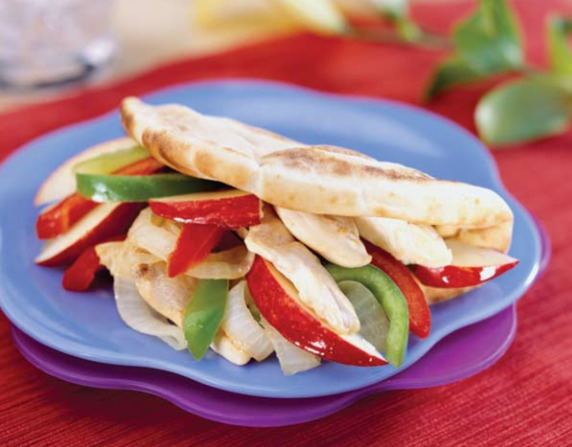 In a nonstick skillet, sauté onion, lemon juice, and bell peppers in oil until crisp-tender. Stir in turkey and cook until turkey is fully cooked. Remove from heat and stir in apple. Fold pita in half and fill with apple mixture; drizzle with yogurt. Serve warm.